Reagan Jackson is the Program Manager for Young Women Empowered. She is a writer, artist, activist, international educator and award winning journalist. She’s been a regular contributor to the Seattle Globalist since 2013. Her self published works include two children’s books (Coco LaSwish: A Fish from a Different Rainbow and Coco LaSwish: When Rainbows Go Blue) and three collections of poetry (God, Hair, Love, and America, Love and Guatemala, and Summoning Unicorns). To find out more check her out at www.rejjarts.com. 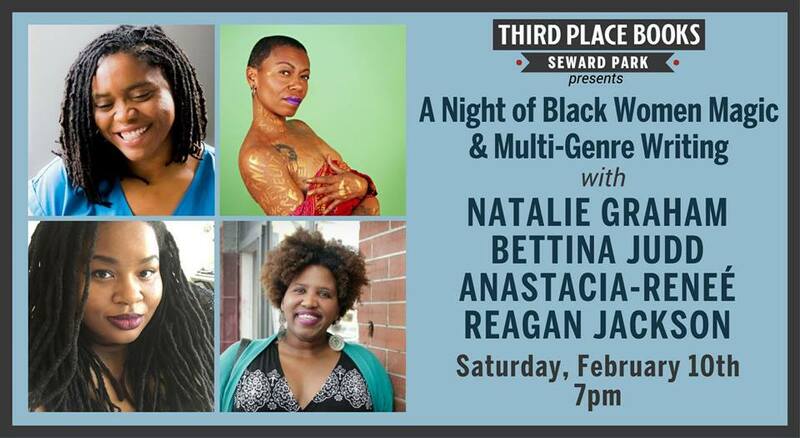 This entry was posted on January 24, 2018 by Seattle Black Feminists in Uncategorized and tagged Third Place Books.